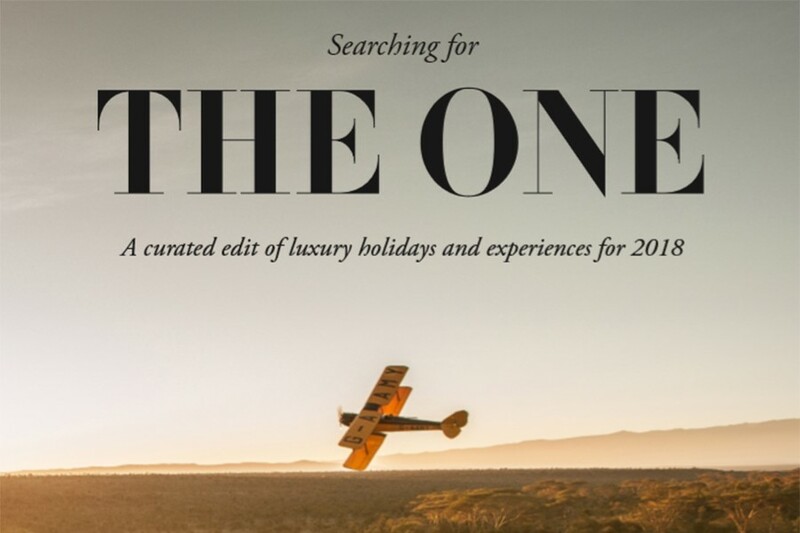 Luxury Travel Studio | THE ONE – the One Holiday, the One Experience, the One Not Like All Others! 14 Jan THE ONE – the One Holiday, the One Experience, the One Not Like All Others! To help inspire the experiences you could be having in 2018 sit back, relax and enjoy this curated edit of luxury holidays and experiences for 2018. You may be looking for the ONE for Families, the ONE for a Special Occasion, the ONE of a Kind, the Adventurous ONE, the ONE for a Gourmet Discovery, the ONE Shore Thing, the ONE for Mind Body & Soul or the ONE Sense of Place. Have a browse and then we would love to make it happen.